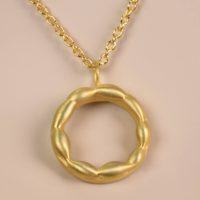 ½” open circle pendant necklace in 14k or 18k yellow gold. The “Better not Bitter” Necklace is inspired by the thought that sometimes one can experience life-crushing moments and survive to be a better person. 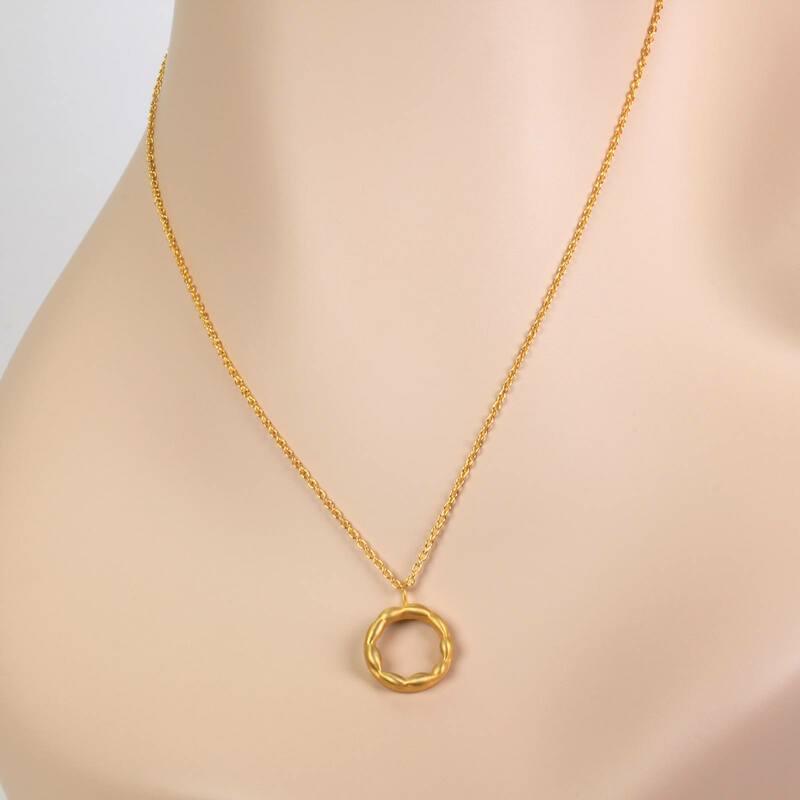 Enjoy this beautiful 1/2″ open circle all metal gold pendant necklace with cascading gold detail that can be worn either as a 16″ or 18″ chain length for your wearable preference. The better not bitter necklace is apart of EzzyKaia’s new sweet jewelry collection. This gold circle pendant necklace is versatile, and can be worn as a set with coordinating gold earrings. 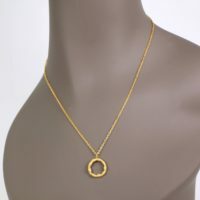 Or this minimalist style necklace can also comfortable be worn as a separate piece of fine jewelry. Whatever your chose may be this elegant designer gold necklace can be beautifully paired with any look for a special occasion. 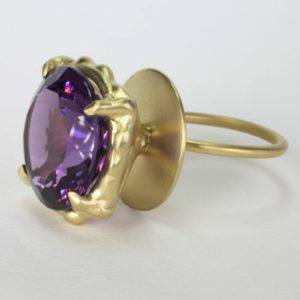 Celebrate special moments with a sophisticated gift made of 18k or 14k gold for the most beautiful lady in your world. This romantic gift will shine as an expression of your everlasting love, remind her of your bond, and show her how much she is loved. 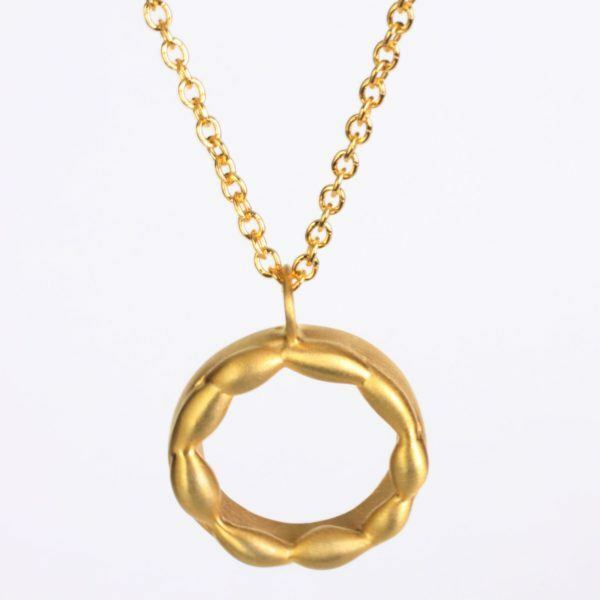 The better not bitter gold pendant necklace is handcrafted using the lost wax method, and each intricate piece of wax is carefully arranged to hug the circle pendant. 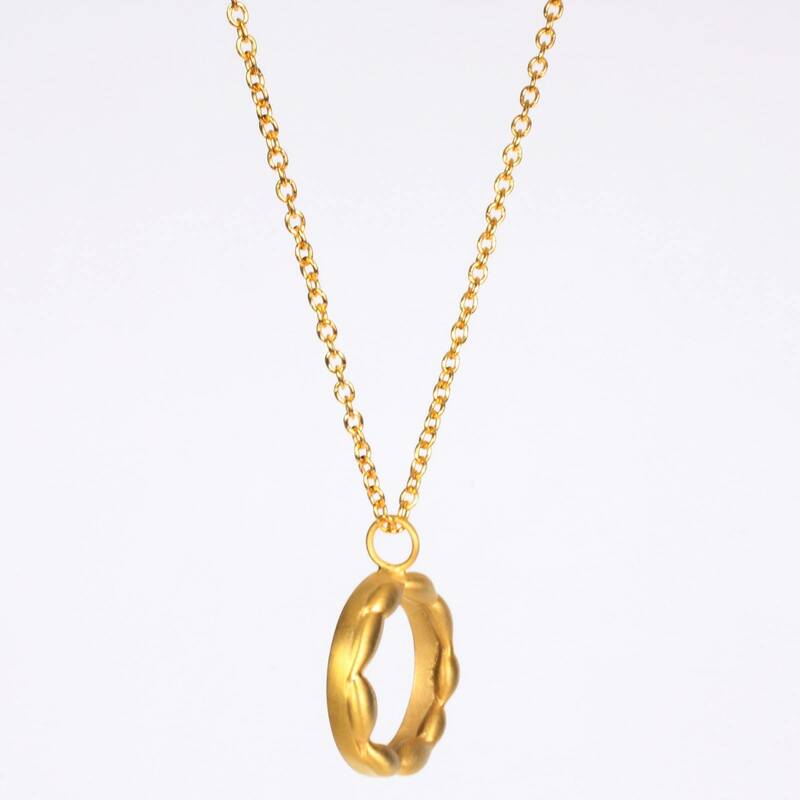 The all-metal design of this fine gold necklace can be made to order in 14k or 18k yellow gold. Or you may also choose to commission the designer to create a gold one of a kind custom necklace as a surprise gift for Mother’s Day or for the holidays. 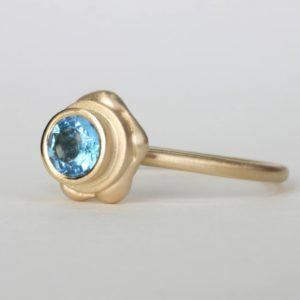 EzzyKaia’s fine gold jewels are designed, and made locally in New York City. 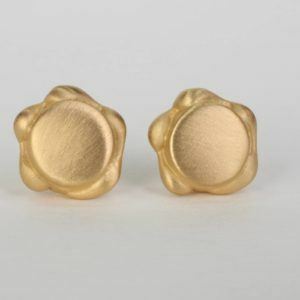 Our gold jewelry is stamped with the designer’s logo, and karat amount in 14k or 18k. The yellow gold better not bitter necklace is unique and no two pieces are alike. 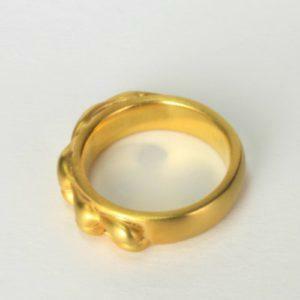 Our fine jewelry collection is available with free shipping within the USA, and our gold pendant necklaces are carefully packaged, and securely shipped with FedEx. For your convenience gift-wrapping is available upon request.